As a student of Bachelor of Business Administration Program (BBA), Dhaka City College under the National University I was supposed to work in any organization for three months to complete the BBA program. I have chosen Apex Foam Industry for this reason and the management of the company accepted me as an intern at their organization. For me this is not only pre-requirement to complete the program but also to accumulate and apply my theoretical knowledge into the industry oriented practical field. Objective of the study of the report is divided into two parts those are primary objective and secondary objective. The primary objective of the study is to complete the partial requirement of the awarding of the BBA degree from the department of business administration, Dhaka City College. To make an overview of the Apex Foam by clarifying its position in the foam industry of Bangladesh. To present a theoretical overview of marketing mix and marketing performance. To identify and describe the process of marketing mix manipulation in the context of Apex Foam. To evaluate the marketing performance of Apex Foam. To relate the marketing mix manipulation to the marketing performance of Apex Foam. All the information incorporated in this report has been collected both from the primary sources and as well as from the secondary sources. Primary sources included direct observation and interview of industry staffs. The secondary data has been collected from the MIS of Apex Foam Industry. To clarify different conceptual matters Internet and different articles published in the journals and magazines have been used. Apex Foam Industry is now well growing industry and it’s containing branches outside Dhaka. The scope of the study will be limited to the industrial setup , function and operation of the Apex Foam Industry in the Bangladesh. This report mainly encompasses the performance on branding strategies of Apex Foam Industry in comparison the competitors. For the purpose of our report, we were assigned to furnish a report on branding as a part of the requirements of the course. We have an opportunity to gather experience by working in different departments of the industry. The employees are very busy with their jobs, which lead a little time to consult with them. In 1967, he set up the Apex Industrial Corporation Ltd. in the Tongi BSCIC Industrial Estate near Dhaka along with his nephew, Barrister Abul Khair Khan. At the beginning it was an Automobile Tyre Retreading unit under the “Apex” brand and later, in 1978, it added a new product, the EVA based Hawaii Chappal (Beach Sandal) which was introduced for the 1st time in Bangladesh under the brand name “Mogul“. In 1981 they jointly established another industry, named Apex Limited, at Tejgaon Industrial Area, Dhaka, and started manufacturing PVC Compound, Synthetic Rubber Sheets, Synthetic Rubber Shoe Soles, EVA Sheet (for the shoe industries) and HDPE – PP bags with 4-colour flexography printing. To support 100% export-oriented shoe industries in Bangladesh the unit started manufacturing TPR (Thermoplastic Rubber) Compound & TPR base shoe soles in 1997 for the 1st time in Bangladesh. All the products manufactured by Apex Limited are being marketed under brand name Apex. Finding a ready market and earned much good will, they decided to go for a new venture. As a result in 1982 they established the Apex Foam Industry and produced PU (Polyurethane) Foam under the brand name “Apex Foam”, which became extremely popular among the users for its quality. Later in 1993 they added another economical grade of PU (Polyurethane) Foam under the brand name “Shahinoor Foam”. Husain & Khan Ltd. was started in the year 1984 jointly by Mr. Mosharraf Husain and Barrister Abul Khair Khan. The unit, which produces Crumb Rubber, is situated at the Tejgaon Industrial Area, Dhaka. To strengthen the hands of Mr. Mosharraf Husain his sons, Mr. Moazzem Husain and Mr. Zakir Husain joined the concern in 1983 and in 1990 respectively to make it even stronger than ever before. He also introduced many new Rubber products in Bangladesh market. As a result he established the Apex Foam Industry and produced PU (Polyurethane) Foam under the brand name “Apex Foam” which is extremely popular among the users for its quality. Tubes and Flaps, this unit also manufactures “Apex” brand Bicycle Tyres, Rickshaw Tyres and Reclaim Rubber. With the intention of expanding the Automobile Tyre and Tube project, the two brothers established the Apex Polymer Corporation Ltd. in 1998 and purchased land at Saver near Dhaka. After the demise of Mr. Mosharraf Husain on the 24th of January, 1997, Mr. Moazzem Husain and Mr. Zakir Husain became the Chairman and the Managing Director of the Apex Polymer Group (APG) respectively. Mr. Moazzem Husain took the leadership to run the industrial units. Later on Mr. Moazzem Husain established Apex Polymer Corporation Ltd. at Tejgoan Industrial Area to manufacture Automotive Tube. Apex Husain Ltd. is established and trusted organization among the rubber industries. With the arising concern of environmental issues around the world, the company is involved into potential recycling projects to play its role to protect the environment. Later on Mr. Moazzem Husain brought these industrial units under one roof of “APEX HUSAIN GROUP”. Industry’s mission refers to management’s customized answer to the question “what is the business of the company and what will it be”. Specialized, Personalized & Relentless Services to the Clients with Excellent team work spirit. Ensure Steady growth of the industry and maximum return to the shareholders. Development of Human resources for meeting the challenges of the day. To establish relationship with customer and improve product quality through development of strategic marketing plans. To remain one of the best foam industry in Bangladesh in terms of profitability and product quality. To maintain a healthy growth of business with desire image. To contribute in the economic development of the country. “Apex Foam Industry” was established in the year 1982 by Mr. Mosharraf Husain. Since then the production of PU (Polyurethane) Foam under the brand name “Apex Foam” was started. Apex Foam became more and more popular among the customers. Now it is one of the well known and well established brand in the foam industry of Bangladesh. After the sad demise of Mr. Mosharraf Husain on the 24th of January, 1997, Mr. Moazzem Husain took the leadership to run the industrial units. Later on Mr. Moazzem Husain established Apex Polymer Corporation Ltd. It is the hard work and well organized planning of Mr. Moazzem Husain which is also helping to expand the brand “Apex Foam” all over Bangladesh. The factory of Apex Foam Industry is situated in Hara Nath Ghosh Street, Lalbagh, of old Dhaka. The marketing department is also here. The corporate office is located in Banani. 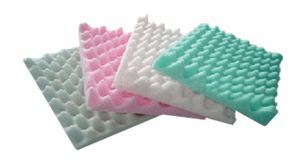 Apex Foam Industry has marketing department, sales and distribution department, accounts department. Marketing department deals with the marketing activities of the organization. It includes developing marketing strategies, marketing mix decisions, advertising etc. The responsibility of the sales and distribution department is to keep focus on the increase of sales. Accounts department keeps the records of all kind of transactions. The factory outline of Apex Foam Industry has long been thinking to create technically qualified persons having sound knowledge of industrial profession by giving them proper training and professional education. Apex Foam Industry initiated epoch-making steps to professionally train up its officials and to make them fit to handle any technical works smoothly and perfectly. Marketing mix usually refers to E. Jerome McCarthy’s 4P classification for developing an effective marketing strategy, which encompasses: product, price, placement (distribution) and promotion. When it’s a consumer-centric marketing mix, it has been extended to include three more Ps: people, process and physical evidence, and three Cs: cost, consumer and competitor. Depending on the industry and the target of the marketing plan, marketing managers will take various approaches to each of the four Ps. The term “marketing-mix,” was first coined by Neil Borden, the president of the American Marketing Association in 1953. It is still used today to make important decisions that lead to the execution of a marketing plan. The various approaches that are used have evolved over time, especially with the increased use of technology. Combination of marketing elements used in the sale of a particular product. The marketing elements center around four distinct functions, sometimes called the Four Ps: product, price, place (of distribution), and promotion. All these functions are considered in planning a marketing strategy, and any one may be enhanced, deducted, or changed in some degree in order to create the strategy necessary to efficiently and effectively sell a product. The term “marketing mix“ was coined in 1953 by Neil Borden in his American Marketing Association presidential address. However this was actually a reformulation of an earlier idea by his associate, James Culliton, who in 1948 described the role of the marketing manager as a “mixer of ingredients”, who sometimes follows recipes prepared by others, sometimes prepares his own recipe as he goes along, sometimes adapts a recipe from immediately available ingredients, and at other times invents new ingredients no one else has tried. A prominent marketer, E. Jerome McCarthy, proposed a Four P classification in 1960, which has seen wide use. The Four P’s concept is explained in most marketing textbooks and classes. Product – A tangible object or an intangible service that is mass produced or manufactured on a large scale with a specific volume of units. Intangible products are service based like the tourism industry & the hotel industry or codes-based products like cell phone load and credits. Typical examples of a mass produced tangible object are the motor car and the disposable razor. A less obvious but ubiquitous mass produced service is a computer operating system. Packaging also needs to be taken into consideration. Every product is subject to a life-cycle including a growth phase followed by an eventual period of decline as the product approaches market saturation. To retain its competitiveness in the market, product differentiation is required and is one of the strategies to differentiate from its competitors. Promotion- represents all of the communications that a marketer may use in the marketplace. Promotion has four distinct elements: advertising, public relations, personal selling and sales promotion. A certain amount of crossover occurs when promotion uses the four principal elements together, which is common in film promotion. Advertising covers any communication that is paid for, from cinema commercials, radio and Internet adverts through print media and billboards. Public relations are where the communication is not directly paid for and includes press releases, sponsorship deals, exhibitions, conferences, seminars or trade fairs and events. Word of mouth is any apparently informal communication about the product by ordinary individuals, satisfied customers or people specifically engaged to create word of mouth momentum. Sales staff often plays an important role in word of mouth and Public Relations. The history of measuring the performance of marketing in the firm. Organized around three themes: the movement from financial to non-financial output measures, the expansion from measuring only marketing outputs to measuring marketing inputs as well, and the evolution from uni-dimensional to multidimensional measures of performance. Evaluation of this history suggests a need for the marketing community to develop a set of measures small enough to be manageable but large enough to be comprehensive. The paper examines the interrelationships among four important measures and suggests research issues and approaches to aid in this task. Measuring marketing performance is attracting academic and managerial attention with an urgency and scope previously unprecedented in the field’s history. This represents the convergence of four trends. First after a decade of downsizing, major corporations are reaching the point of diminishing returns on increasing profits by reducing headcount and increasing operational efficiency. This has led to a refocusing on marketing as a driver of future sales, and therefore profit growth (Sheth and Sisodia 1995). Second, there has been increasing demand from investors for information related to the quality of the marketing effort, which traditionally has been both under- and poorly reported in firm financial statements (Mavrinac and Siesfeld 1997; Haigh 1998). Third, popular new overall conceptions of business performance measurement such as the Balanced Scorecard (Kaplan and Norton i992) have attracted attention to the issue of which marketing measures should be included in overall assessments of business performance. Finally, senior marketing managers themselves have become frustrated with traditional performance measures that they believe, undervalue what they do, leading to calls for research from a variety of quarters (e.g. Marketing Science Institute 1998). Field of Application Furniture, Garments, Shoe Industry etc. Quality of APEX FOAM is judged on the basis of Density, Weight and Resilience. These brands have been classified based on their durability and warranty. For example: apex 2000 is giving warranty of 40 years if any kind of misuse is not happened. Apex 280 is giving warranty of 30 years, Apex Super is giving warranty of 25 years and Apex Standard is giving warranty of 16 years. At present Apex is producing one category of pillow that has been named Dream Plus Contour Pillow. This scientifically designed pillow helps to remedy troubled breathing, headache, throat and neck burn, localized muscular pain and to diminish habitual snoring. Dream Plus Contour pillow conforms with nature health care & pain relieving. At present Apex is producing one category of mattress that has been named Dream Plus Contour Mattress. This mattress is designed scientifically to remedy rheumatic attack, sprain and strain on veins and ligaments. 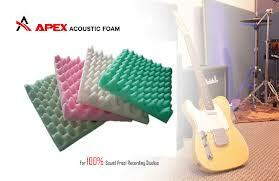 Apex acoustic foam is produced for the recording studios. It is very comfortable and easy to use.it also help to reduse the tiredness Which is produced by heavy work. Apex strictly believes in maintaining the product quality. Customer satisfaction is the center of focus of maintaining their product quality. To ensure the best quality product to their customers they always use the latest technology available in our country in producing foam. According to their customer needs they do production by using the latest technology available at hand. As mentioned earlier, customer satisfaction is the center of focus for Apex Foam Industry. On the basis of new product needs of customers, Apex always try to develop new product for their customers. Again with the pace of competition, Apex is always on the track of developing new products. Both cost based and market based pricing is equally important for Apex Foam Industry. Apex definitely prices products according to their cost. They also keep in mind, what price the competitors are offering to their product category. Considering the both pricing methods they set up reasonable price for their customers. This is because if they only focus on cost based pricing, it will be very difficult for them to stay in the competition. And if they only focus on market based pricing they wont always be able to satisfy their customers. Apex Foam Industry offers discounts for their customers at different times. These discounts are given in the percentage basis. The discount rate varies from time to time and is not always same. Again this discount varies in the different marketing channels. Apex definitely have margin and markups in setting their product price for their different customer levels. Price of the products varies from one customer level to another. The distribution channel structure of Apex Foam Industry is same as the normal distribution structure. Products get available to the final consumers in the sixth step of the distribution structure. After production, the manufacturers supply to the distributors, then distributors supply the product to the dealers, then the dealers supply the products to the wholesalers, then the wholesalers supply products to the retailers and then finally the retailers make the products available for the final consumers. With the help of the channel members, Apex Foam is now available in almost every district of Bangladesh. It is the hard work of the company and channel members which made it easily available to the customers in remotest parts of the country. In order to motivate the channel members and customers Apex offers a wide variety of promotions. These motivational arrangements are offered during different times of the year. Channel motivational activities vary from time to time. It includes monthly commission on sales, yearly commission on sales, instant discounts, incentives, giving gift items with the products. Commission rates and gift items vary from time to time. Gift items include T-shirts, caps, wall-clocks, umbrella, key rings and pens etc. In order to advertise their products Apex Foam Industry uses different advertising forms at different times. The advertising forms that are commonly used include TV commercials, news paper advertisements, bill-board advertising. They also use sign boards, festoons, leaflets, brochures for advertising their products. Other communication form for promotion of Apex Foam Industry includes dealer conference, product campaigns, participating in fairs etc. SWOT analysis is a strategic planning method used to evaluate the Strengths, Weaknesses, Opportunities, and Threats involved in a projector in a business venture. It involves specifying the objective of the business venture or project and identifying the internal and external factors that are favorable and unfavorable to achieve that objective. The technique is credited to Albert Humphrey, who led a convention at Stanford University in the 1960s and 1970s using data from Fortune 500 companies. This paper has attempted to lay out what I know about the history and interrelationships among marketing mix and marketing performance of Apex Foam Industry. The three historical trends identified – toward non-financial output measures, marketing input measures, and multiple measures – have improved my understanding of marketing performance. The challenge left for further research is to identify the few good leading indicators that managers can track for the future. We had given the opportunity to know the reputed Foam Industry .It gave me experience and real sense of this industry’s activities. In this report, I have studied findings & analysis on the Apex Foam Industry. “Apex Foam Industry” Is one of the popular Foam Industry in the country. I have tried with my best capacity to real information & analysis on their information on this industry.